If you are like us then summer can't come soon enough and what's better on a beautiful warm evening than enjoying a drink or a bite to eat in a lovely pub garden. We have picked some of our favourites that you should visit in 2018. Asthall isn't a place you will stumble on by chance but it's a lovely little village and is home to the brilliant Maytime Inn. 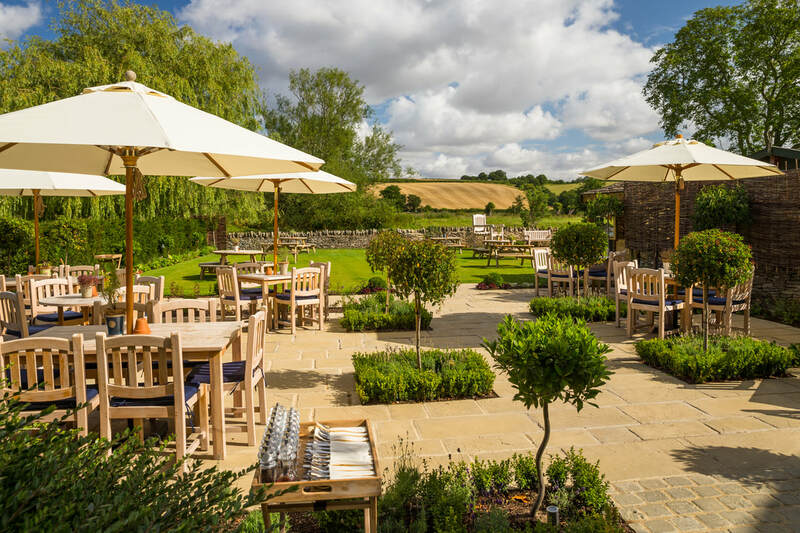 The award-winning garden features an outdoor gin bar, boules pitch and stunning views over the rolling Oxfordshire countryside. The Wheatsheaf is a beautiful Virginia Creeper clad pub in the heart of Northleach. Their stunning tiered cottage gardens were designed by Max Asknew and are a great place to enjoy some food and drink in summer months. 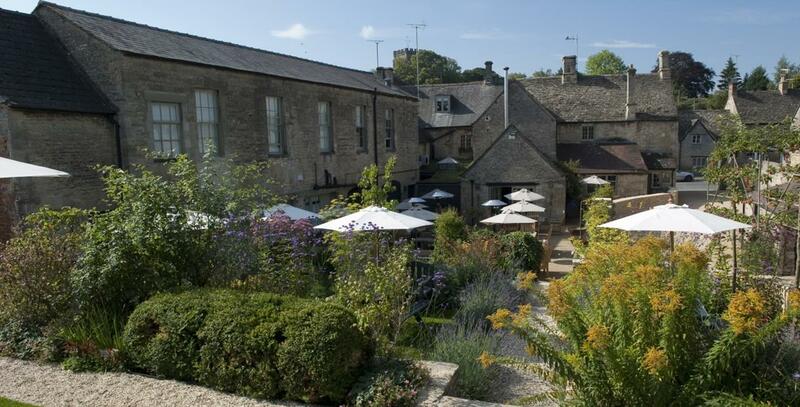 Located just off the high street in Burford, The Angel is a great place to go and take some weight off you feet offering delightful ales, great food and a wonderful garden to enjoy some sunshine. ​What was once a car park is now a brilliant "beach bar" style garden with an outside bar, BBQ and boules pit and lots of space to enjoy a meal or a pint of pimms in the summer. 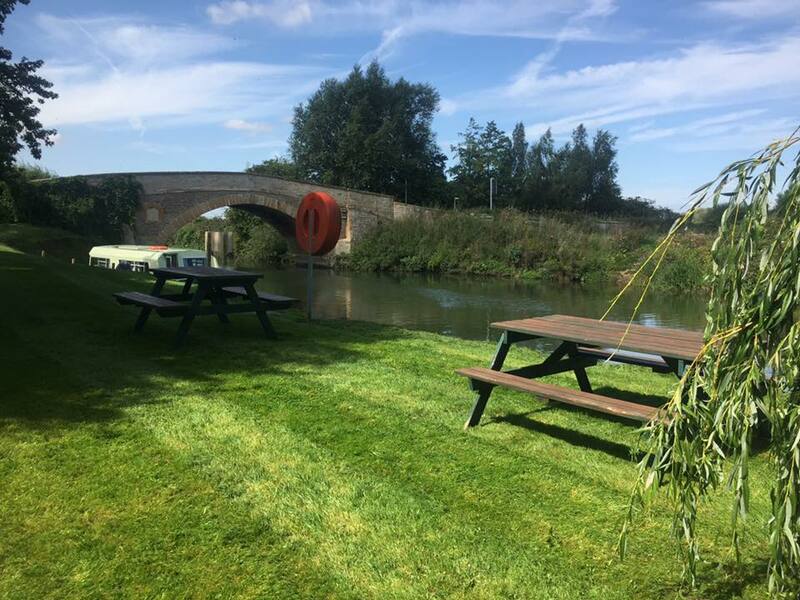 Set in 65-acres of idyllic grounds in the picturesque village of Minster Lovell, the Old Swan and Minster Mill offers magical gardens, wild flower meadows and woodland which enclose the mill and inn and come alive during the summer months. 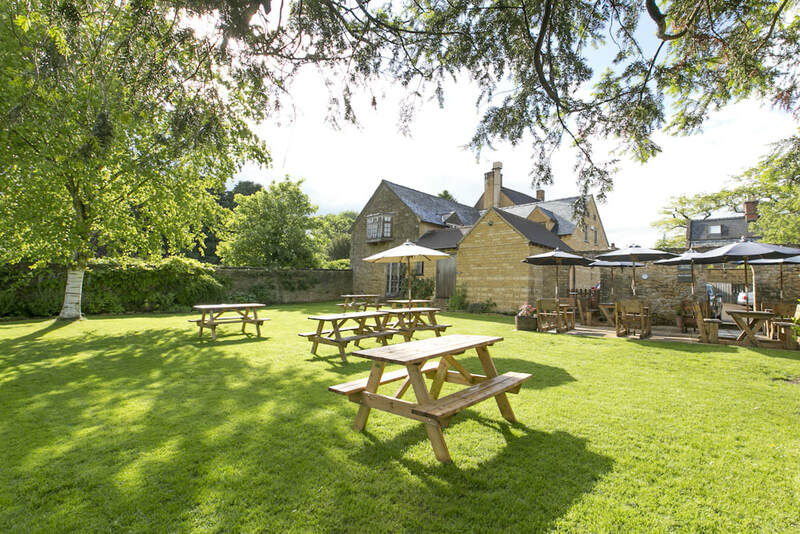 Although not officially the pub garden, the fact that The ​King;s Head Inn sits directly on the village makes it hugely popular in summer months with families. Voted The Good Pub Guide's Pub of the Year for 2018, the pub serves wonderful food and drink and is the heart and soul of the village. Look out for their shepherd's hut selling delicious ice creams too! 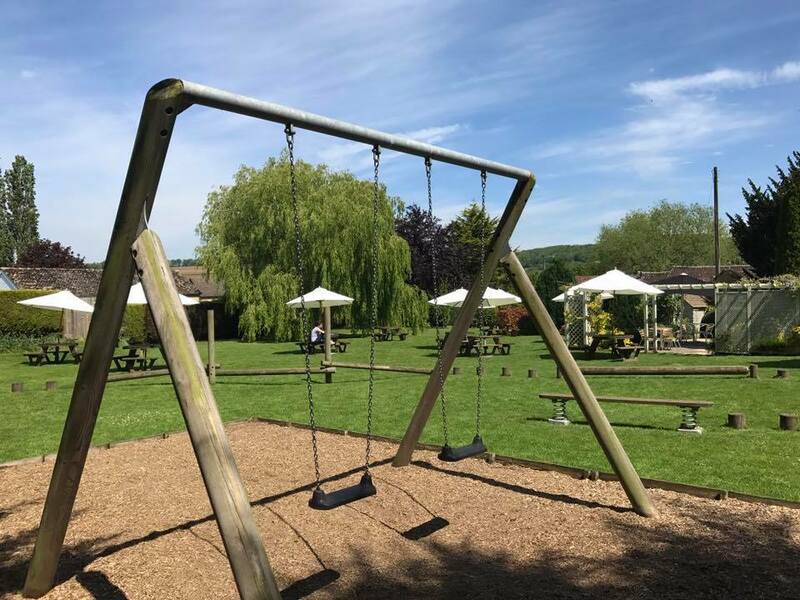 The Plough Inn at Ford is a great place for the whole family to enjoy some summer sunshine with a play castle for children as well as table tennis in the courtyard. There are many picnic tables scattered around perfect to enjoy a meal from their huge menu! If you are visiting the Rollright Stones or Cotswolds Distillery this summer then The Red Lion at Long Compton is a wonderful pub to visit. It practically has a children's playground in the garden which will keep the children occupied while you enjoy some drinks in the sun. 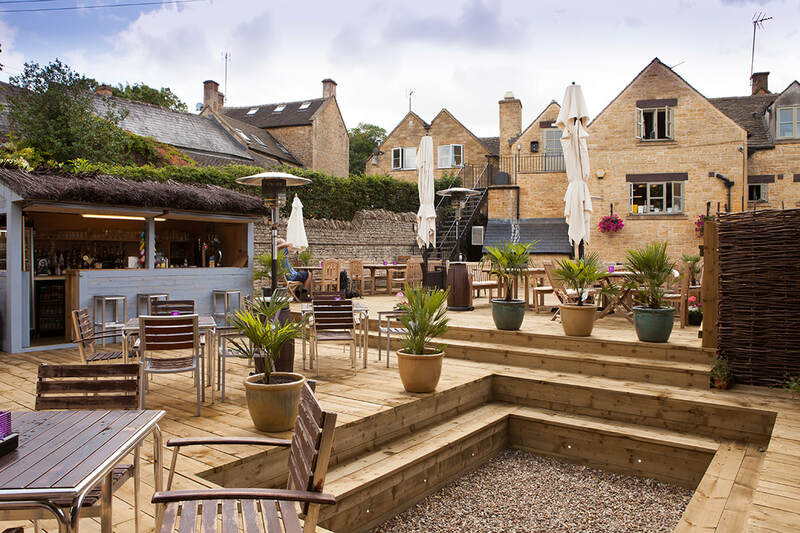 The Victorian walled garden at The Ebrington Arms is everything you expect from a pub garden with lovely views of the surrounding Cotswolds countryside and great for al fresco dining and drinking. A perfect spot to start and end a good walk! 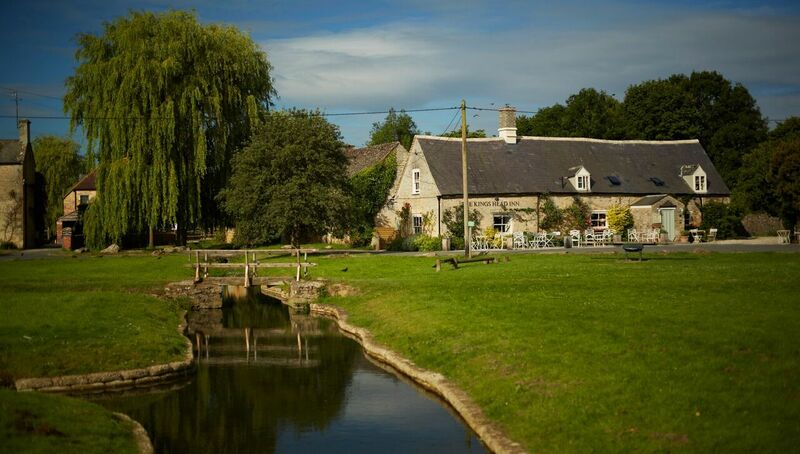 Surrounded by stunning countryside next to the River Thames, The Trout Inn is a wonderful place to spend a sunny day in the Oxfordshire Cotswolds. There are not many pubs that you can visit by boat! 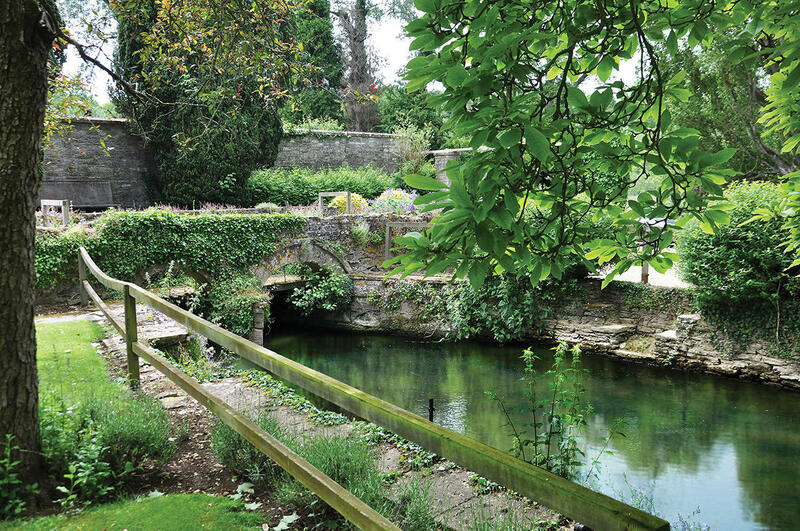 Built on the banks of the River Eye, Lower Slaughter is one the the pretties villages in the Cotswolds. 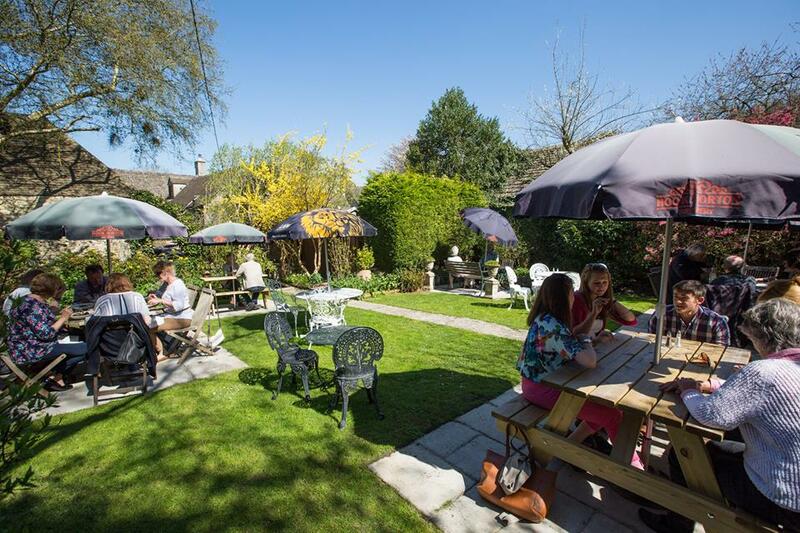 The Slaughters Inn is a wonderful place to watch the world go by in the sun with a huge garden and patio area. 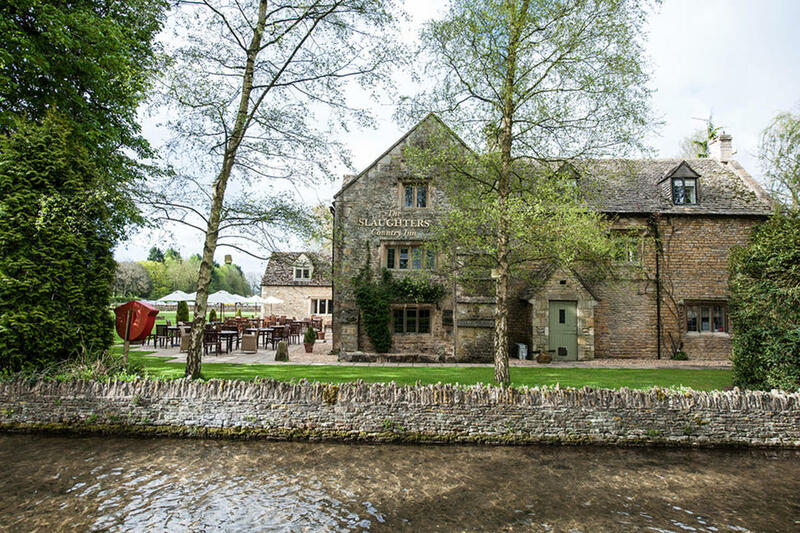 The Swan Inn at Ascott was brought back to life by owners ​Charlie and Willow Crossley in 2017. The stunning interior is matched by the wonderful courtyard garden which has enormous picnic benches for walkers; a snug pillowed area for those looking to cosy up; and an alfresco dining area for a more continental experience. 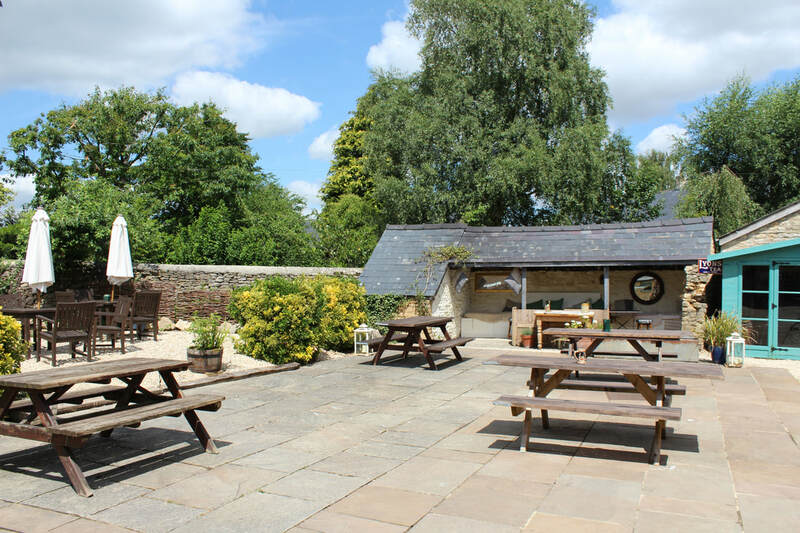 The award-winning 16th-century Craven Arms ​is a bit of a hidden treasure serving great food and offering a large garden to enjoy a pint in the sunshine. Voted North Cotswolds Pub of the Year by CAMRA in 2016.